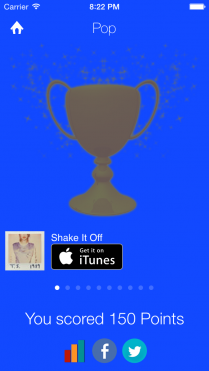 Download Top Songs Quiz and challenge your music knowledge. How well do you know your music? Are you a true Pop, Rock, Country, or R&B fan? – Different types of questions including: guess the song and guess the artist. – Listen to clips from the latest and greatest songs in several genres. – You get a different mix of songs and questions every time you play. 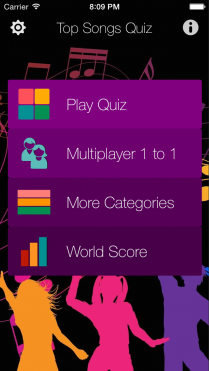 – Challenge your friends or other music fans to beat your score. – Songs are updated weekly from the latest downloads charts. – Includes genres from Pop to Classical, Country to Hip-Hop, and more. – Discover new songs in genres you love. 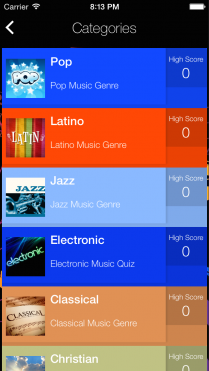 – Discover new people who enjoy the music you do and challenge their scores. 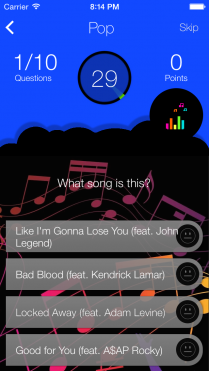 Download Top Songs Quiz and challenge your music knowledge with hundreds of songs from the latest music charts.